Since 1995 Antiwar.com has brought you the truth about war, peace, and US foreign policy. While so much of the media is mired in conclusion-based reporting and analysis, we bring you the facts and fact-based analysis. If we have any hope of changing the dangerous course of this nation, we need to keep speaking truth to power and speaking truth about the powerful. 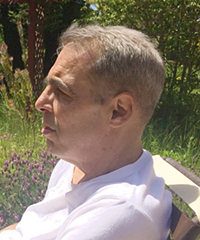 Antiwar.com co-founder Justin Raimondo continues his miraculous recovery from stage-four lung cancer. He updates his progress and the prospects for the future of Antiwar.com in this personal message. Antiwar.com is 100% supported by you, our readers. We have never taken money from any government-funded source, and are not supported by big foundations and special interests. We need your help now to keep doing what you have come to expect for the last 23 years. Ron Paul on US Missiles To Germany – Defense or Warmongering?